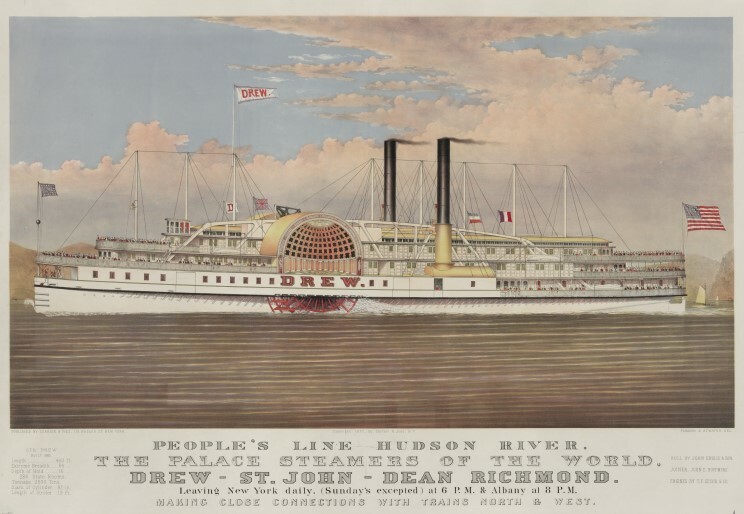 1877 Currier & Ives print of Drew. 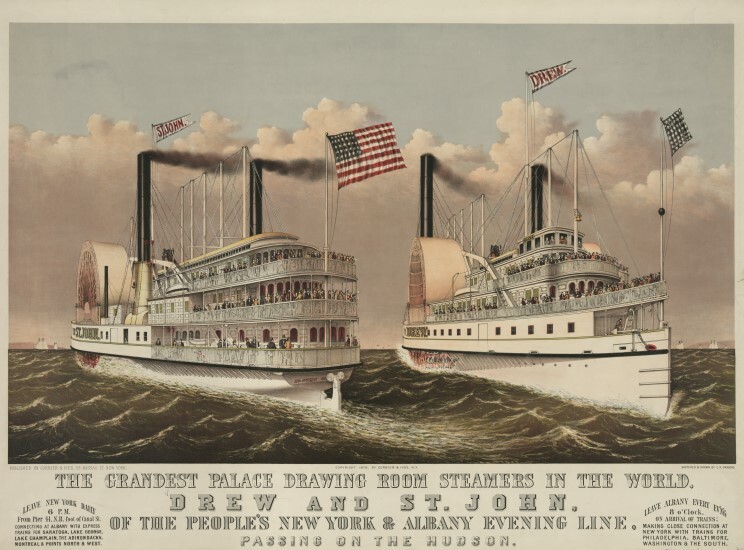 1878 Currier & Ives print of Drew and St. John. 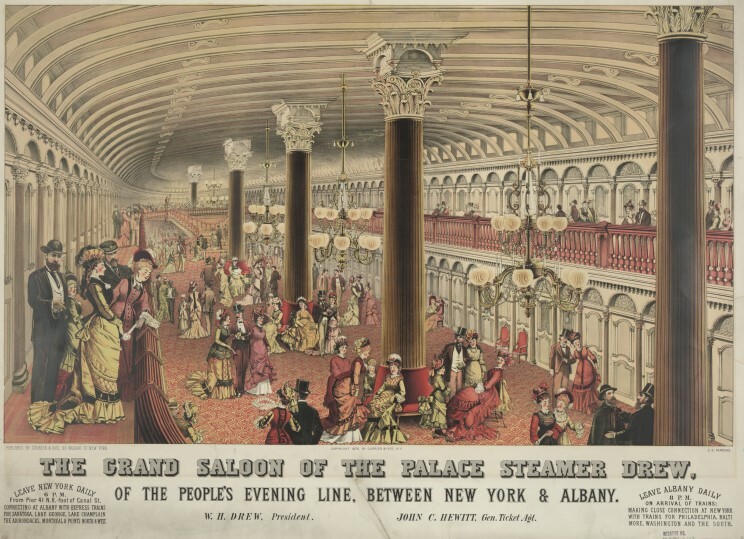 1878 Currier & Ives print of the interior of Drew. 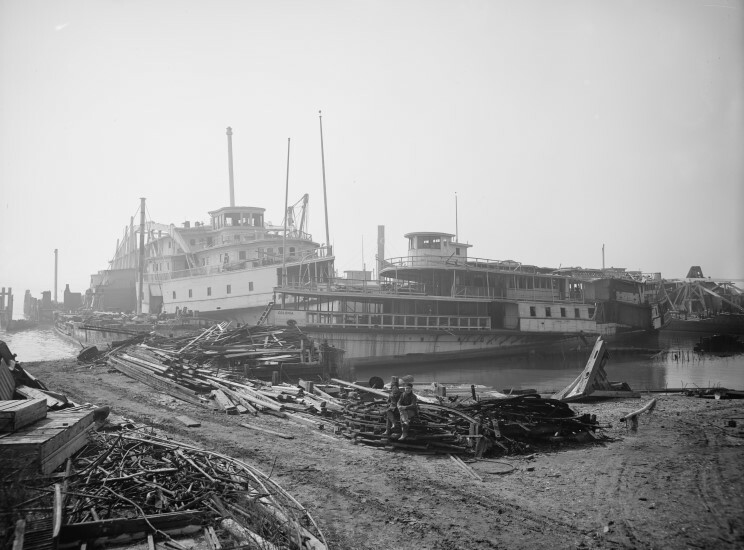 Drew and Colonia seen at the scrapper yard in Amboy, New Jersey.